Aero Support Engineering, International, Inc.
We specialize in fast, high-quality aluminum aircraft spinner repairs (typically $485-$585, with 2-4 day turnaround time), PMA parts development, and manufacturing. As an FAA Part 145 Repair Station, our expert technicians have repaired over 10,000 spinners for almost every airplane make and model since we started in 1992. We have a very extensive list of satisfied customers ranging from FBO's, flight schools, and government agencies...to private aircraft owners, aviation enthusiasts, and bush pilots in the far reaches of the globe. 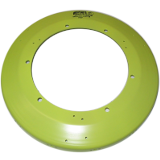 We also design FAA-PMA parts for improved durability and cost savings, and we produce a PMA-STC quick release for Piper Navajo front-landing gear.